The BMW 335i with its turbo engine is a true factory-made beast, but our engineers have developed a special exhaust system for it that makes the 335i even better. The difference between the titanium and stainless steel Slip-On is the weight. The stainless steel muffler saves 5 kg compared with stock, and titanium weighs 9 kg less than the original. 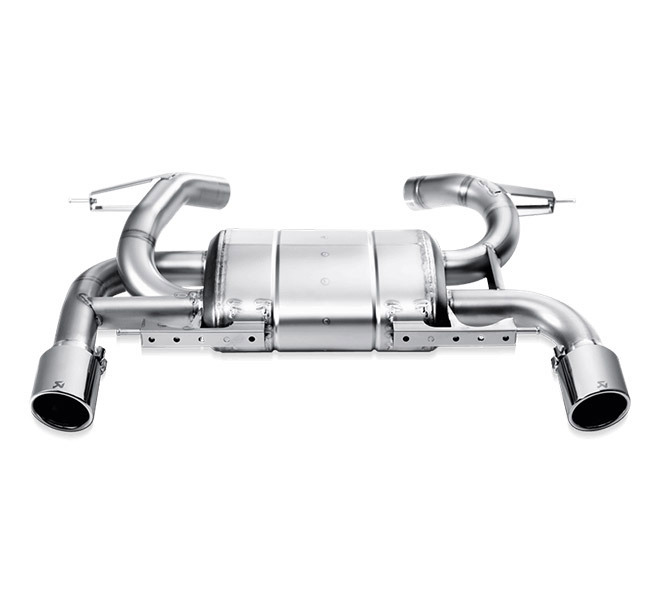 The Slip-On exhaust systems deliver weight reduction, power gains, and better sound. Power and torque delivery are improved across the rev range, but especially in the mid-range for really engaging driving, and at the top. This beautiful work of art also gives the powerful BMW six-cylinder engine a sportier sound. Complete the look with a set of two exquisite tailpipes in titanium. Warning: Cannot fit with genuine trailer tow hitch.